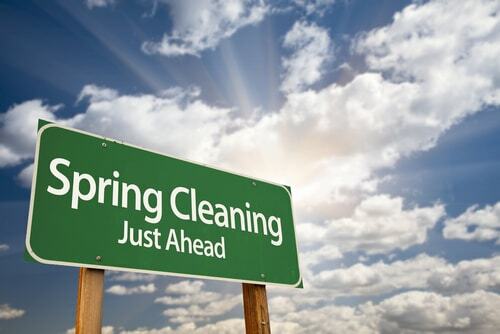 While it may seem like an old tradition or old wives tale, spring cleaning actually has roots in old superstitions of winter representing death and spring representing the return of life to the world. Spring cleaning became an annual rite of throwing out the lingering dirt and traces of the old and preparing for the new season of renewal. It's an interesting interpretation of the changing of the seasons, and one you should apply not just to your living space, but also to your finances. By the time spring rolls around, you may find that your finances have gotten out of order: the end of the year and holidays can be expensive, and you may still have some credit card debt to pay off. But for the most part, by spring most of us are ready to clear out the clutter and get our finances back in shape. Here are a few ways to help you do just that. We'll start off with something you were probably going to do anyway during the course of your home's spring cleaning: getting rid of old bills and paperwork. Sometimes it's important to keep certain bills and bank statements, and other times it isn't. Get all your financial paperwork from last year together and delve into it, separating what you should keep from what can be disposed of. Always remember to shred any financial receipts or documents before putting them in the trash. No matter how insignificant you may think your documents may be, you never want to risk having your personal financial information falling into the wrong person's hands. Speaking of paperwork, once you've gotten all of the old mess cleaned out, why not save yourself the same hassle next year by going paperless? Most banks and companies offer a paperless option where you can receive all your statements online. In the digital age, you no longer need physical copies of all your financial records, so do yourself a favor and ditch the paper. One important aspect of cleaning up the previous year's financial dealings is to pay off any credit cards or title loans you may still owe money on. Credit cards have an average APR of nearly 17%, and that interest is money that you certainly could find much better uses for. And besides the strictly fiscal reasons, do you really want to move forward with the added stress of debt hanging over your head? Another important aspect of a thorough and complete financial spring cleaning is checking your credit score. 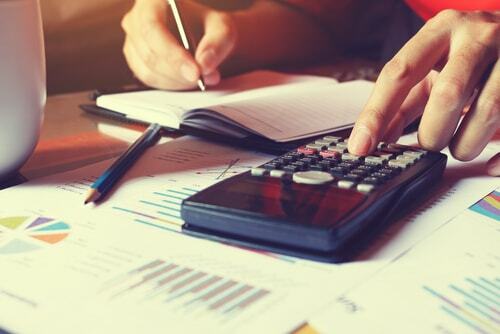 Since credit scores can determine everything from credit card interest rates to whether you qualify for a mortgage, it's important that you know where your credit score stands so you can work on problem areas. Another important reason to check your credit score is to make sure that it's accurate. Discrepancies and inaccuracies do happen more often than you might believe, and no one but you has any real stake in correcting them.